I searched online for troubleshooting tips, but I couldn’t find any, so I had to make it up myself. 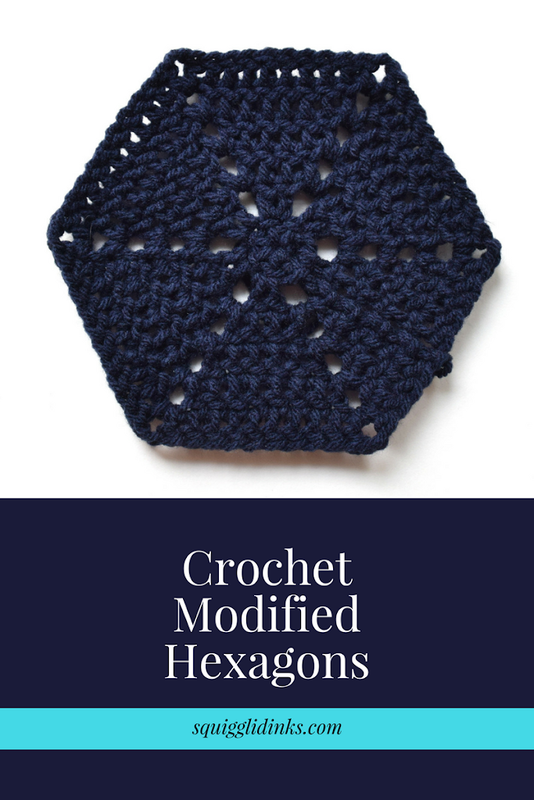 The only time my hexagons would lay flat was when I loosened the magic loop in the center—the hexagon was flat, but there was a gaping hole in the middle. So I decided to try adding an extra round in the middle before starting the regular hexagon pattern. Ch 3, 5dc into magic loop, sl 1 into chain to close the round. Pull magic loop snug. Ch 2, dc 1 into same stitch that you slip-stitched into at the end of the last round (the stitch your chains are coming out of), ch 2, *2dc into next st, ch 2, repeat from * 4 more times. (You should have 12 dc in this round.) Sl 1 into the beginning chains to close the round. Dc 1 into the same stitch you slip stitched into at the end of the last round, the same stitch that your chains are coming out of to start this round. You should have 12 dc in this round, or rather, 11 dc plus the 2 chains that started the round. This last round is the equivalent of the first round in the Make & Do Crew tutorial. You can now follow their tutorial for the rest of the hexagon, starting with round 2. 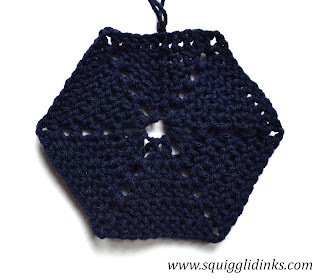 This is round 2 from the Make & Do Crew tutorial, which ends up being round 3 in this modified hexagon. I did a total of 6 rounds (the 2 I wrote out above plus 4 more), and the hexagons stayed flat! 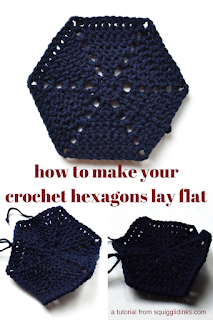 Have you found other solutions for wavy crochet? I’d love to hear about them! And check out the finished blanket here!